Next January 16th and 17th, it is in the Val de Loire, at the Abbaye Royale de Fontevraud, that the eight competitors selected for the semi-finale will meet. Some have already won a contest, others have an experience of a finale, and two of them, at last, reveal themselves on the national scene. 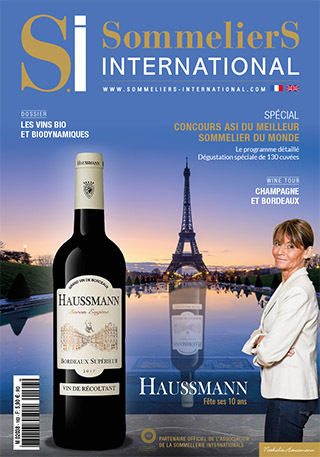 For the first time since the UDSF has taken the reins of the Best Sommelier of France Contest, it is in a unique site that the first grand selection has taken place. Thirty nine candidates, on the forty three that initially subscribed, encountered in the lounges of the Hôtel Baltimore in Paris. A lot already have tried their luck in different competitions but, “many of them stood for the first time and had the courage in this way to take a new look at themselves...” Serge Dubs, President of the UDSF, wanted to underline. This discovery has not always been easy. The opening to the world was not limited to that. Amongst the three eaux-de-vie and spirits that had to be identified, a Schochu – Japanese product mixing rice, barley, sweet potato and potato - had slipped between a raspberry eau-de-vie and a Bénédictine. In addition to this, every candidate had to answer two tests with 50 questions each: one illustrated with a slide show, and the other a bit more classical. Let’s bet the morning has been hard. After the correction, eight candidates clearly stood out. They will go on the trip to the banks of the Loire for the following of the contest that seems to be promising, in view of the level of the competitors. We have indeed two Best Young Sommeliers of France: Antoine Petrus, last winner of the Trophée Ruinart and Jonathan Bauer-Monneret, first of the Trophée Duval-Leroy. Romain Iltis is the Master of Port 2008. Pierre Vila-Palleja has been acknowledged as the best at the Trophée Chapoutier. Pascaline Lepeltier and Benjamin Roffert were present in 2008 in Perpignan during the finale won by Manuel Peyrondet. • Pierre Vila Palleja (Le Crillon, in Paris).